You can invest money in a regular brokerage account -- whether it's earmarked for retirement or not -- at any time of year. But if you're hoping to minimize your tax bill next April 15, you are rapidly running out of time to invest in qualified retirement accounts -- "qualified" in that they meet the criteria for certain tax and legal benefits that ordinary accounts do not. Qualified retirement accounts have limits in terms of how much you can contribute and when you need to contribute it. If you miss those deadlines, you're locked out of contributing for that particular year. With 2013 coming to a close, you need to get moving now in order to meet the earliest of those deadlines. If you have access to a 401(k), 403(b), or other qualified employer-sponsored retirement plan at work, you have until Dec. 31, 2013 to make a contribution for 2013. For the year, you can potentially contribute up to $17,500 -- or even $23,000 if you're age 50 or older. Naturally, if your employer matches your contribution, as so many do, that amount could instantly grow far past your initial contribution. 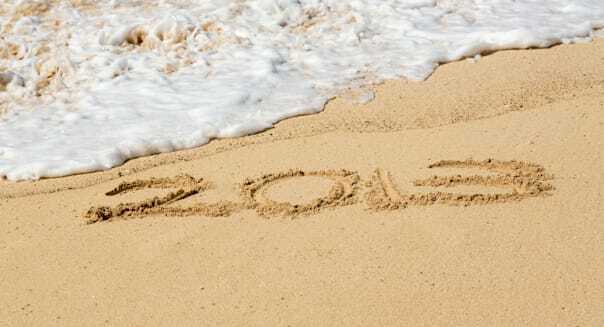 Even though there are a couple of weeks left in 2013, you probably don't even have that long. 401(k) contributions get directly deducted from your paycheck, which means you've got to get the deduction set up before payroll runs. If you miss the chance to bump up your contribution from your last paycheck of the year, the window on 2013 contributions slams shut. Your next shot at contributing will be your first paycheck in 2014, but it will be a 2014 contribution, not a 2013 one. In addition, if you or your spouse have earned compensation in 2013, you'll likely be able to contribute to some sort of Individual Retirement Account for 2013. The contribution limits are smaller for IRAs than 401(k)s, $5,500 younger folks and $6,500 for people ages 50 and up. Still, IRAs have a somewhat more generous contribution window than 401(k)s do. You have until April 15, 2014, to contribute to your 2013 IRA, so you're not quite as time constrained as you are with an employer sponsored plan. If some or all of your income comes through self-employment, you have an additional option, also with a generous timeline -- a Simplified Employee Pension (SEP) plan. You have until the due date of your tax return, including extensions, to set up and fund your SEP for 2013. In addition, you can contribute up to 25 percent of your net earnings from self-employment (backing out the contributions themselves), up to a comfortable $51,000 for the year. Investing money through a qualified retirement plan is an incredibly effective way for you to save for your retirement. Money in those plans grows tax deferred. Your investments can hand your account dividends and interest, and you can sell investments for gains within the plan, all without paying an immediate tax bill along the way. %VIRTUAL-article-sponsoredlinks%In addition, some qualified retirement plans let you deduct your contributions from your taxes in the year you make them, while others let you withdraw your money tax free in a typical retirement. All by themselves, those tax benefits make qualified retirement plans excellent places to accrue compound growth your money, but there are a few other benefits, too. For one, federal law protects 401(k) plans from most creditors and attachment from most lawsuits. IRAs have some federal protection, too, and many states offer additional protection for IRAs as well. Hopefully, you'll never need to rely on those protections, but it's nice to know they're there. For another, if you're expecting to rely on financial aid to pay for college, money in a qualified retirement plan does not get included as an asset for the purposes of determining federal need-based aid. That's no small benefit for people who are trying to protect their own futures while also helping their kids begin building futures of their own. And as for what may be the most overlooked benefit of qualified retirement plans, consider the early withdrawal penalty. That penalty makes it hard to take money out of those plans before retirement. In the worst case scenario, you may wind up paying your full marginal income tax rate plus a 10 percent penalty tax for early withdrawal from your plan. That penalty can go a long way toward reducing the temptation to pull cash out of your nest egg early, thus improving the chances that it will be there for you when you retire. Still, for all their benefits, every qualified retirement plan has a deadline for you to contribute to have it count for 2013. The 401(k) deadline is just about upon us, and the IRA deadline will be here shortly thereafter. To have your contributions work for you for 2013, you need to hit those deadlines or the opportunity will be lost. Chuck Saletta is a Motley Fool contributor. Try any of our newsletter services free for 30 days.